Cooking instructions: Use 6 litres of water for 500 of pasta. When the water boils, add the salt and pasta. Stir occasionally and drain immediately after the suggested cooking time, season as you like. 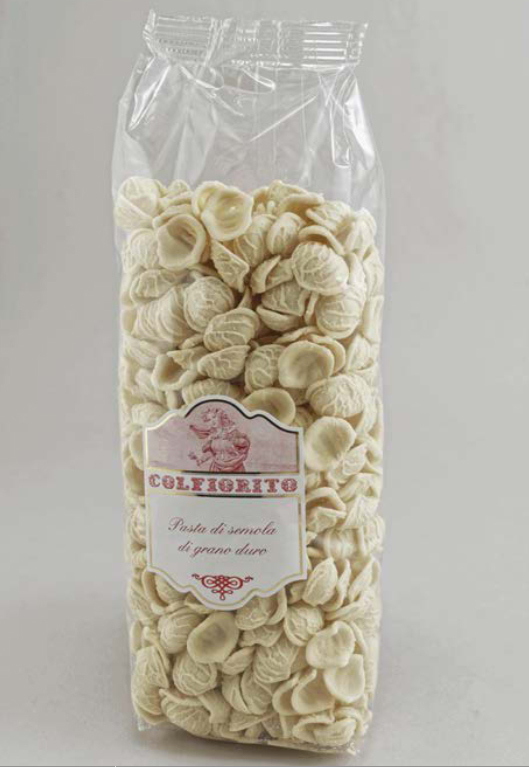 Orecchiette pasta is traditional product from Puglia, produced from the finest durum wheat flour following the traditional, scrupulous manufacturing process.